In the light of this, watching the work of Richard Wagner was rendered more or less impossible for me, much less seeing it clearly, fairly or objectively (if such a result would even be preferable). The problem is this: we know Wagner was rabidly anti-Semitic. Not criticism-of-Israel “anti-Semitism” but the real deal; proper the-Jews-are-subhuman anti-Semitism. Of course there’s an argument that you can separate the views of an artist from their work. And to an extent this is true. But the acid test for wanting to do so should surely be the work itself. And the work here is part three of Wagner’s Ring Cycle. Siegfried opens with the nibelung, Mime, trying to re-forge a broken sword in the forest. 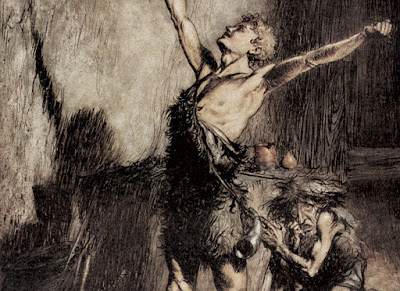 Mime’s back-story is that he’s the brother of Alberich, the nibelung who steals the Rhine gold in the first part of the story and forges it into the titular ring of power. It is fairly clear – and certainly it is well argued historically – that the Nibelungs have been deliberately imbued with stereotypical anti-Semitic traits. 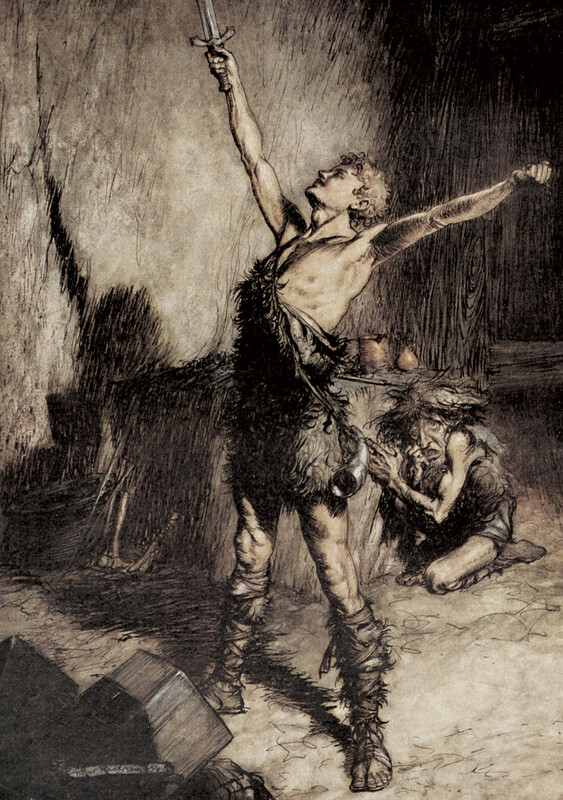 As such, the first scene of Siegfried is our titular “hero” – as this is a concert performance, we perhaps imagine him as all the more Aryan (see picture) for the lack of costumes and a set, and the dissociation between the performer and the performed – basically telling this anti-Semitic stereotype how awful he (Mime, the anti-Semitic stereotype) is. Sure, on a different day one could probably banish this interpretation from your mind. After all, (it hardly needs saying that) the unpleasant characteristics that Wagner ascribed to Jewish people and reality is nil. In other circumstances it’s easy enough to see Mime as a comically malignant gnome, because that’s all he is. But on Thursday 16 June, it was impossible not to see him as the product of the proto-Fascist mind. Which made watching incredibly difficult. The Ring Cycle is undoubtedly a monument to nationalism and national self-mythologising, and pretty unarguably it’s a nationalism that exists at the expense of an Other. On other days, it could be treated as a historical curiosity, and perhaps I could have appreciated its other qualities. Last Thursday – thanks to appalling timing – this simply wasn’t possible.